Last week, cofounder and COO Ryan Croft gave an Ignite Presentation at the National Association of City Transportation Officials (NACTO) Designing Cities 2014 event in San Francisco. The event took place over 4 days, and was highlighted by Keynote Addresses from TransitScreen's Strategic Advisor Gabe Klein and Jennifer Pahlka, the Founder and Executive Director for Code for America. "The Designing Cities conference convenes transportation leaders and practitioners from across the country to discuss key trends in urban street design and transportation policy. Themes will include re-imagining rights-of-way, economic benefits of sustainable streets, bike and car sharing, pedestrian and bicyclist safety, and strategies to create public space using low-cost, temporary materials." 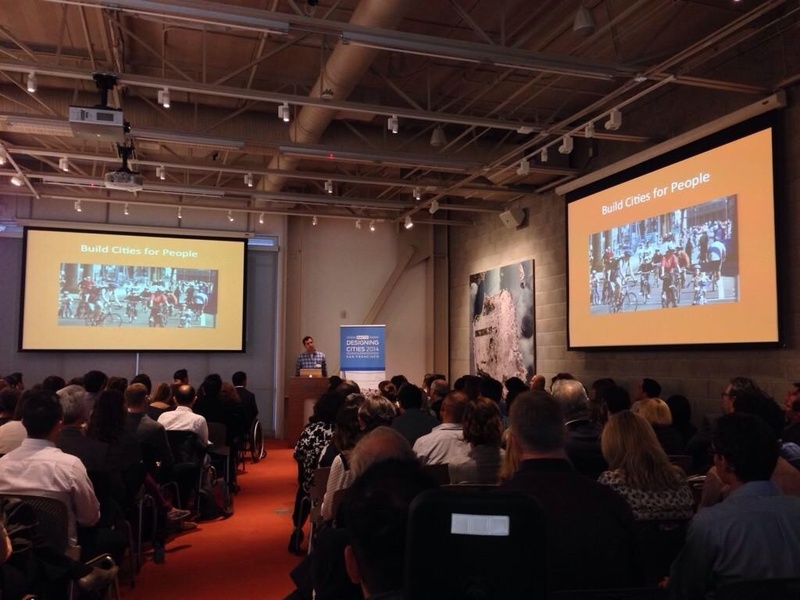 "I really enjoyed presenting an Ignite talk at the NACTO 2014 Innovation Day at SPUR last week. It was such a unique opportunity to talk about a topic I feel passionately about (the mass urbanization of global cities) in front of such an impressive audience. It's humbling to be surrounded by top city transportation officials, academics, urban planners and fellow transportation entrepreneurs-- and learn from the best in the business," remarked Ryan Croft. "Ta" Virot Chiraphadhanakul, Facebook Inc.